Can I compost Bread? - Can I Compost It? You Are Here: Home -> Uncategorized -> Can I compost Bread? There is a lot of debate about putting bread in the compost, with strong views being held on both sides of the argument. 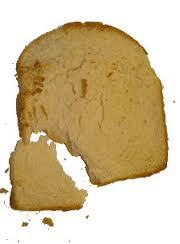 To get straight to the facts, bread, either fresh, stale or mouldy, will break down in the compost. So what’s the big deal? Well, one of the main concerns about putting bread in compost is the fear that it will attract rodents. For this reason, I wouldn’t recommend putting bread in an open compost heap where rodents, and the like, could get easy access to it. However if you have a closed compost bin, I see no harm in adding small amounts of bread to the compost. I wouldn’t add full loaves of bread or anything like that. is bread compostable, can i compost bread, banana bread in compost, can i compost bread?